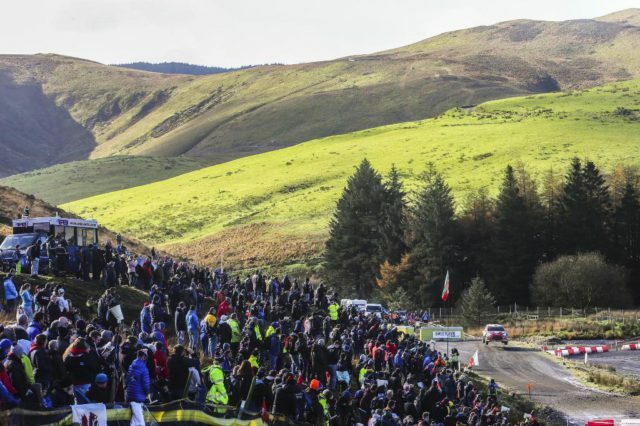 This year’s Dayinsure Wales Rally GB (4-7 October) will feature an exciting new-look route and a shift of focus to the forests and venues of north Wales. A change in the law by the Welsh Government now facilitates closed-road motorsport in Wales. 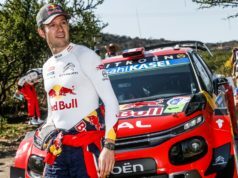 Thus International Motor Sports Ltd (IMS), organiser and promoter of Britain’s round of the FIA World Rally Championship, is set to overhaul the event’s four-day itinerary to the advantage of both visitors and competitors. The final competitive route is subject to FIA approval. Also, tickets go on sale next month. 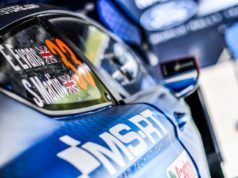 But the organisers have decided to share the outline route at this early stage to assist fans, marshals and accommodation providers to make plans for the rally. As in 2017, the event will blast off with a crowd-friendly curtain-raiser at Tir Prince on Thursday evening. Then comes the turn of Friday’s north Wales stages. Many of them are in Conwy County, which once again has renewed its role as the world-class event’s Official Host County. 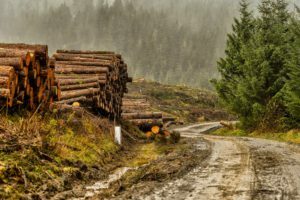 In recent years many of the classic forest tests around Aberystwyth were a part of Friday’s schedule. They will now feature as part of a jumbo ‘Super Saturday’ bill in mid-Wales. The show moves back to north Wales on the Sunday with a new Power Stage venue. 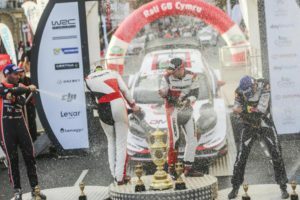 The organizers also confirmed their outline plans for a WRGB National Rally with a greater length. Allowing amateur crews to share the world championship spotlight, this autumn’s National Rally will run to a longer two-day format. It will also include all of the special stages on both Friday and Saturday. The crews will go through 85 miles of action on some of the world’s best forest tracks. The winners will receive their crowns on return to the WRGB Rally Village on Saturday afternoon. The announcement of the final routes for the 2018 Dayinsure Wales Rally GB and the WRGB National Rally will happen in April. Then tickets go on sale. Last year’s event attracted 103,438 visitors, a record since the rally moved to north Wales in 2013. It also delivered £9.4m of economic benefit to the country. Really excited about this year’s @WalesRallyGB schedule. Full day in the North, amazing ‘Super Saturday’ will shake up the order and then a new PowerStage. Full route revealed next month – today’s taster should help people’s planning. 4-7 October.